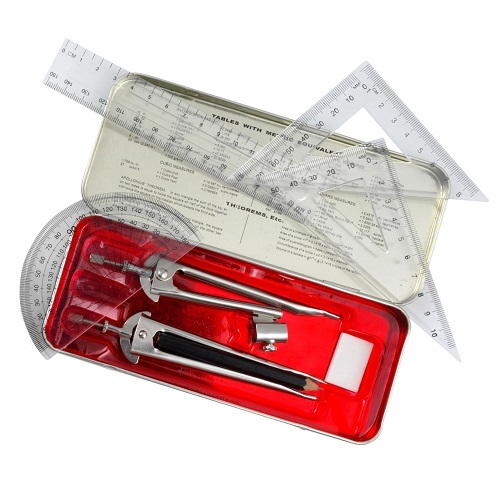 This set contains: metal self-centring compass with safety point, 9cm pencil, divider, sharpener, eraser, 6"/ 15cm ruler, 45° and 60° set squares, 180° degree protractor and timetable/fact sheet. 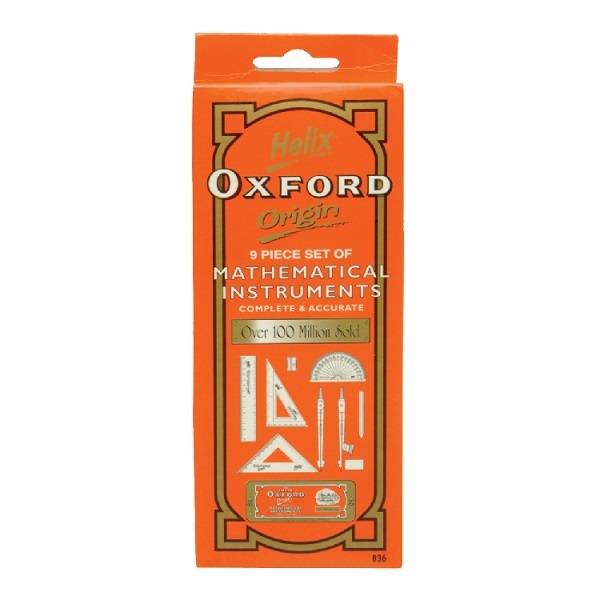 Features a traditionally designed tin box. 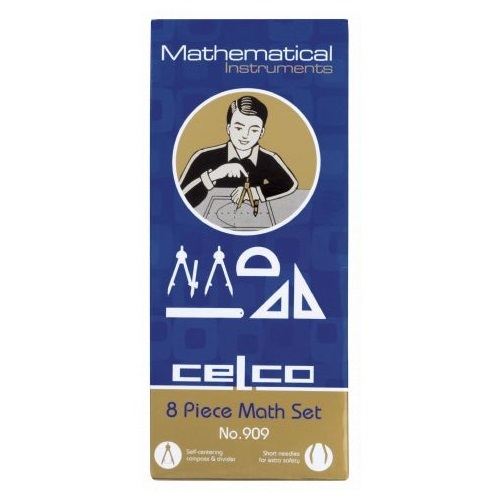 The Celco 909 is Australia's No.1 maths set and is on many school lists! 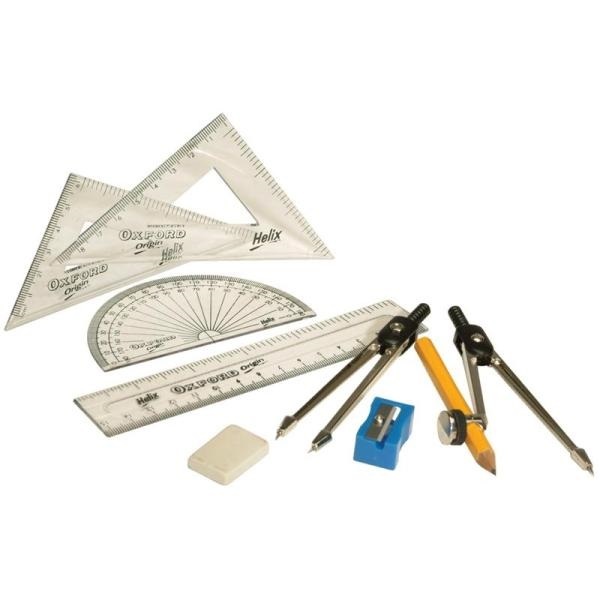 This set contains: metal self-centring compass and divider, 9cm pencil, eraser, 15cm ruler, 45° and 60° set squares and 180° degree protractor.